Hi all, new to this forum. I recently picked up a 97 civic non-vtec. It has an aftermarklet header on it. The header pipe from the rhader to the cat is severly bent. See the pics. It looks like the vtec header pipe replacement will work as a replacement. 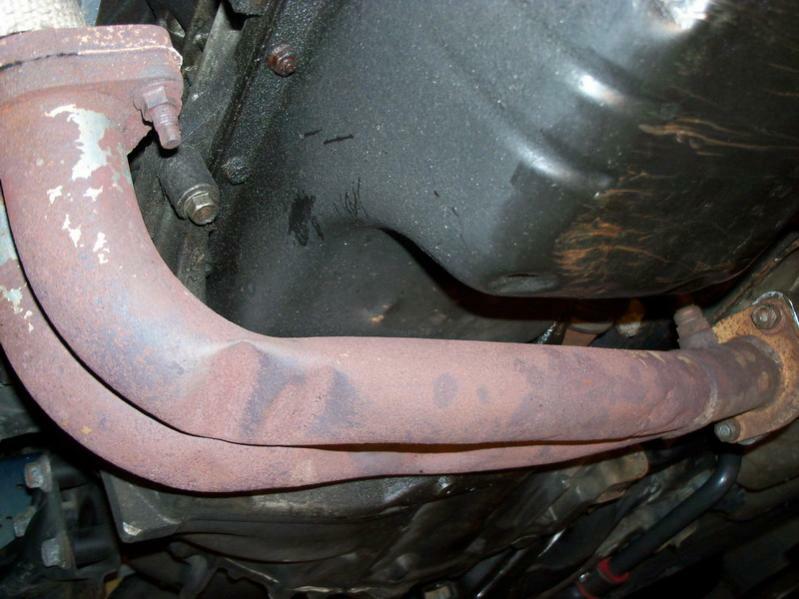 I do not know the manufacturer of the header but what can I replace the bent header pipe with? Damn that pan is pretty scraped up... hit something. You'll have to get a new header, be cheaper, and I don't know where you'd just get the bottom half of the aftermarket header. Test pipe/catless pipe for 01 LX? 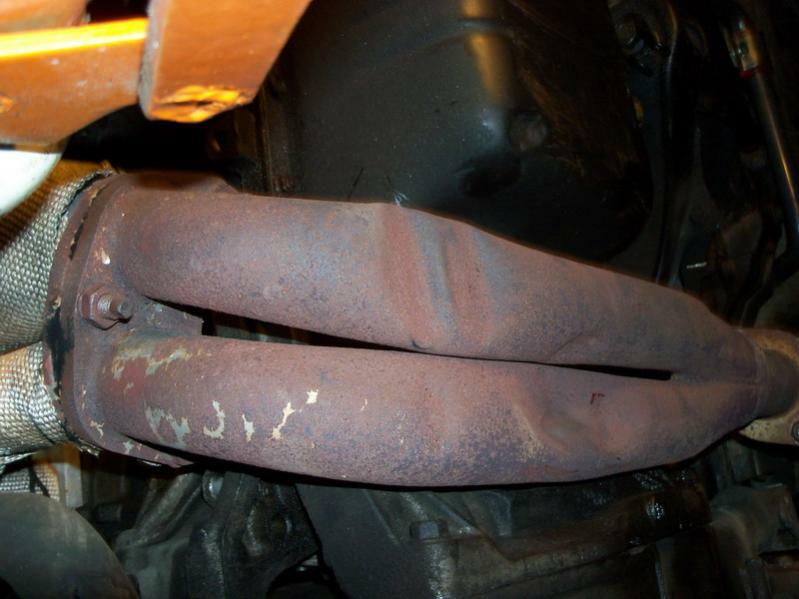 Or what else restricts in exhaust?